But then, it's the cost of a MacBook, basically. 32 to 128GB? rough gap there. I mean...64GB...?? 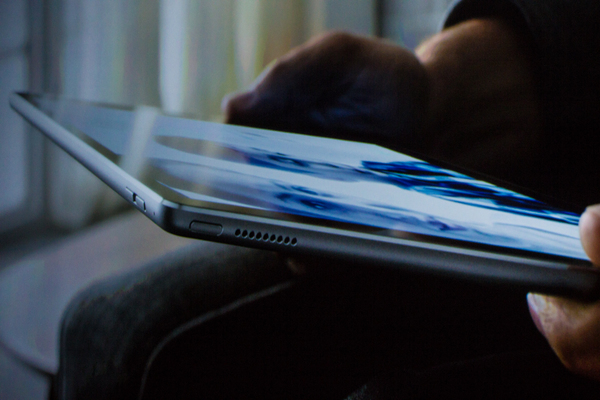 really emphasizing speakers on this iPad Pro. 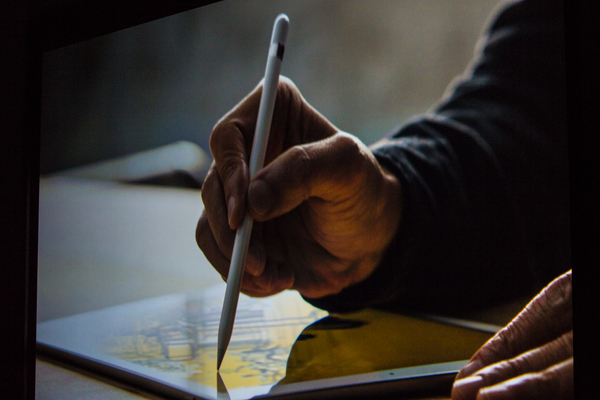 "IPad Pro enables tools and interactions that just haven't been possible before" Ive says in the video. 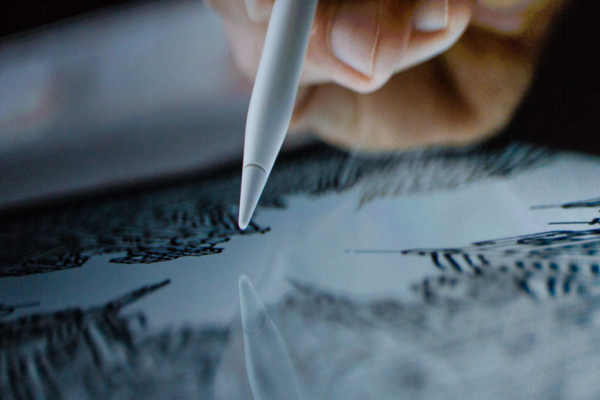 iPad sales have been the one weak spot in Apple’s product line. 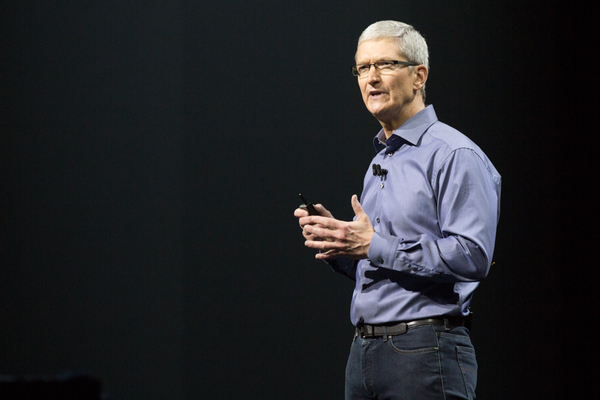 Apple sold 10.9 million iPads in the June quarter, down 18 percent from the previous year. 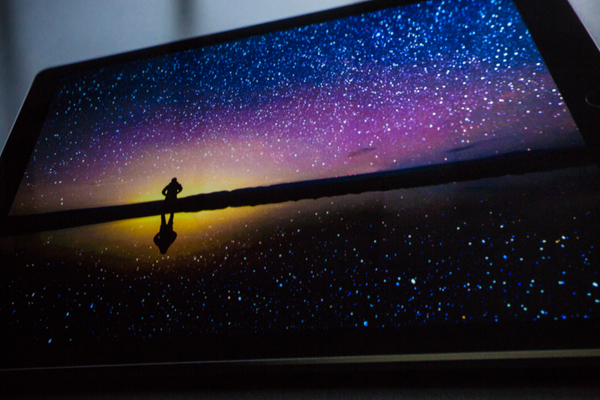 Analysts had expected it to sell 10.7 million tablets, according to a poll by Fortune. That marked the sixth consecutive decline for Apple's iPad line -- a concern for a company that's becoming more and more reliant on its smartphones. Consumers have been holding on to their tablets for longer and opting to purchase bigger-screen iPhones and Macs instead. 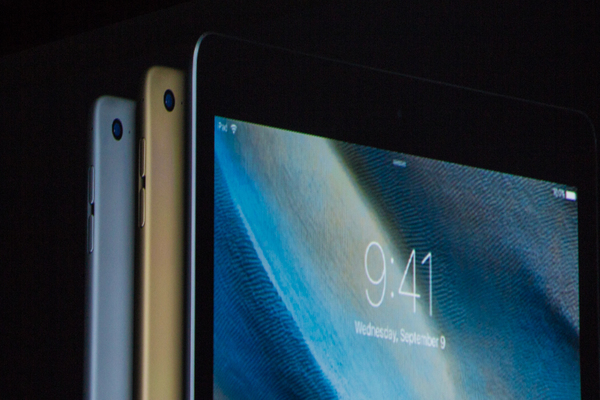 Apple introduced its newest tablets -- the iPad Air 2 and the iPad Mini 3 -- in October, but analysts said their incremental changes, including faster processors, weren't enough to attract buyers. The company, which has long claimed iPad weakness is a "speed bump," is now counting on a partnership with IBM to increase iPad sales to business users. 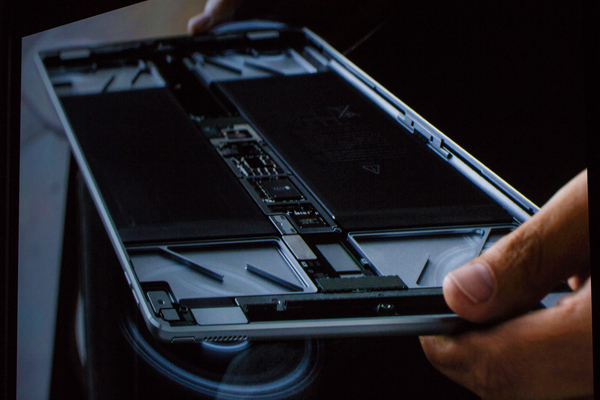 Many corporate customers have embraced devices that convert between tablets and laptops, and Apple could benefit from offering a similar device. Which makes me sad. Those smart keys could have been capacitive. 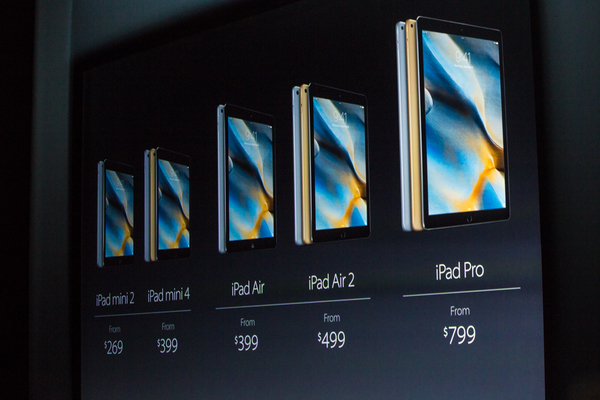 iPad Air starts at $399. iPad Mini 2 at $269, not bad at all. 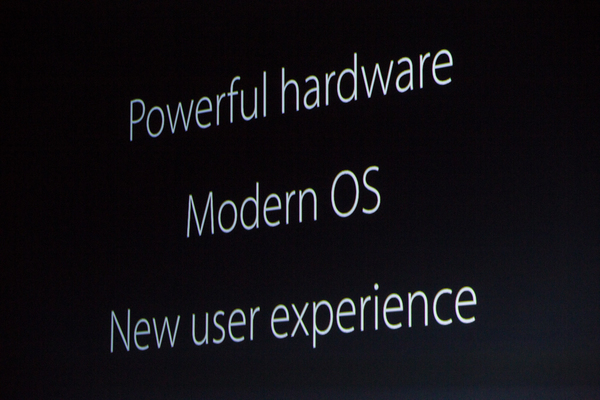 "Next up, I'd like to talk about an even larger screen. That is your TV"
"TV plays a huge role in our lives and it occupies an important place in our homes where we gather and enjoy it together." "There's more great content being created today for TV than ever before. It really is the golden age of television." "The TV experience itself hasn't changed much in decades." "It has been virtually been standing still." "Today we are going to do something about that." 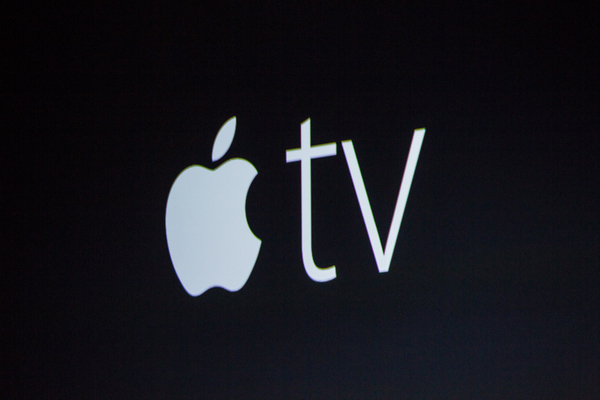 Apple TV: starts with discussion on how industry has been standing still. "Today we're going to do something about that." "It starts with a vision and our vision for TV is simple." 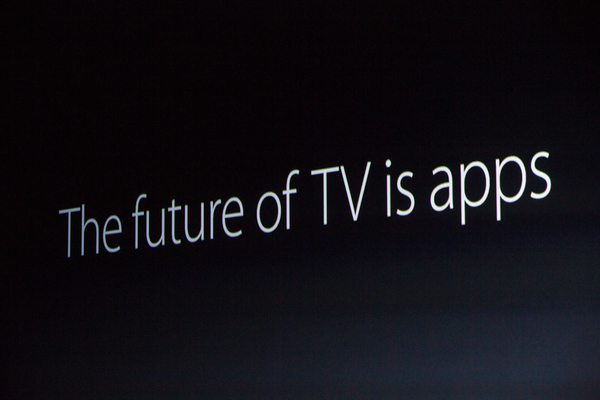 "We believe the future of television of apps." Apps have been long overdue on Apple TV. "In fact this transition has already begun. We're spending more and more time on our computers and mobile devices." "Over 60% of paid TV streaming video is consumed on an Apple device and all of this is consumed on an app." "You realize just how much better it can be. You can search for what you want. You can watch it when and where you want. And you can interact with incredibly powerful new ways." "To deliver on this vision, we need a new foundation for TV, one that's built on powerful hardware that runs a modern operating system, that provides a new user experience that's fun and easy to use. that has powerful tools and APIs so developers can create apps that are amazing. .. and has an app store." David Katzmaier, I'm thinking of you right now.